I have visited Austria, but only a very small blip of it. Living here in Switzerland, it is easy to cross into the country on the way to others. Last summer we went to visit the Neuschwanstein Castle in Germany and as part of the tour we took, we went into Austria and drove along the beautiful country side. 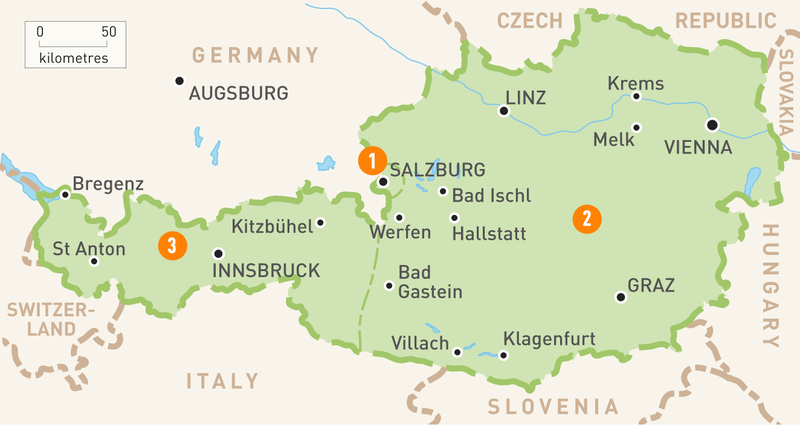 Visiting Salzburg and Vienna are on my short list to hit while we live over here. My parents visited there last year, and - being two music teachers - loved it so much. I would love to see where Mozart was born and raised. I played the piano starting at the age of 4 and the French Horn starting at the age of 8, so I am very familiar with him and his works. Paying homage to this great man's life is something I intend to do. This is the story of the 4 Weber sisters who live in Mannaheim. They are a musical family performing in small venues when Wolfgang Mozart enters their lives. He falls for the second eldest daughter, Aloysia. She is very beautiful and a talented singer and Mozart plans to marry her. Unfortunately, his parents have other plans for him. Mozart's talents have already begun to show themselves, and his parents want him to focus on becoming successful and put of marriage until he is 30 years old. He continues to put off Aloysia as he returns to Austria to continue to write operas and music. Aloysia then gets a job to sing in Vienna, and the whole family moves with her. 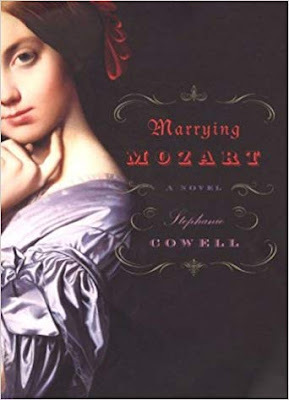 Aloysia gets tired of waiting for Mozart, though, and falls in love with another man. Mozart is heartbroken, and delves into his work. Meanwhile the other sisters are left with their mother. Their father has died and they are trying to care for a retched woman who never says a nice word to the girls. Josepha finally runs away, Sophia joins a convent, and that leaves Constanze at home with her mother. Mozart becomes a boarder at the girl's mother's house and soon finds himself falling for Constanze. In the end, Constanze and Mozart wed. We know that their married life is short because Mozart dies at the age of 35. The story does go back and forth between the girl's young lives, and Sophia as an elderly woman telling the story for an interview. I really liked this book. It was well written, and a light read, and I know that it has truth undertones. The author is clear that is basically historical fiction. Mozart was married to Constanze. He was from Austria. He did write fantastic music and operas. This book touches very lightly on his life and focuses mostly on the lives of the four girls. I enjoyed it. I encourage you to read it. I find it amazing that Mozart - the brilliant musician - struggled so much to just survive almost his whole life. It is truly amazing. Ooooh, as a musician, I am intrigued! Thank you! That's such a beautiful cover. Interesting story as well, I can't say I know too much about Mozart, apart from what everyone knows I guess.